The time has come to share the power of Animal Magic with our community once more. You are invited to join us for a magical evening of shamanic journey work. During our time together you will learn by experiencing how to travel to & connect with the spirit realm. You will also meet animal spirits & guilds, and experience how to access & apply their wisdom for self-healing, guidance, and love. This month, we will be share some juicy experiences designed to support the seeker in learning how to create what is next in their lives by Manifesting Change. What are Spirit Animals & Spirit Guides? A spirit animal is characterized as a teacher or messenger that comes in the form of an animal and has a personal relationship to an individual. Other names might be animal guides, spirit helpers, spirit allies, power animals, or animal helpers. The animal is there to provide “medicine” to the recipient in the form of guidance, lessons, protection, power, or wisdom. 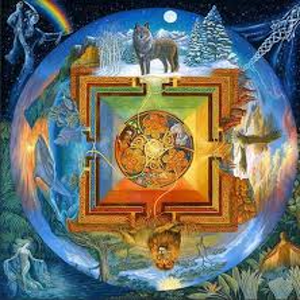 Shamans worldwide have relied on the guidance, wisdom, and symbolism of spirit animals for thousands of years. Through a series of guided mediation, you will be taught how to travel within and deepen your connection to the wisdom of the ancient one.